Is it sad that I look forward to each payday because I can try out a new foundation? The beauty bloggers out there will know EXACTLY what I'm coming from here! I'm genuinely so gutted that I am the only girl out of three children in my family so I don't have any sisters to scrounge and share new beauty products with. 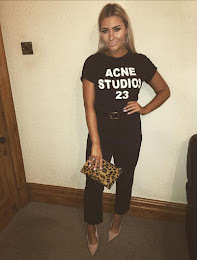 There is absolutely no chance of that happening with my Mum- Her make-up bag consists of about 300 anti wrinkle creams and some touche éclat 'for special occasions'. Hardly Sephora beauty hall is it. I have been using my Nars Sheer Glow foundation since June, and it has lasted me up until now which is AMAZING! I thought because it just pours out that I would have bled the bottle dry in about two weeks, but I have been pleasantly surprised. 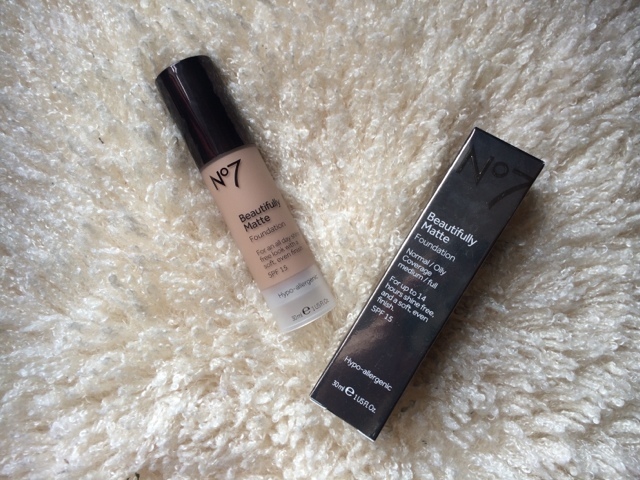 I spent a couple of days researching good foundations that have staying power and a matte finish and I came across No 7 Beautifully Matte foundation. I had seen the 'foundation match made device' on the adverts so I was intrigued to see how well it worked! The woman on the counter matched my face with number 13 - Wheat. It was an absolute STEAL at £13.50, a massive difference to my Sheer Glow which was around £32. There was a 'buy one get one half price' offer on all No 7 products so I also picked up the 'perfect light' pressed powder (another bargain at £11.50) so altogether my purchase came to £19.50. A nice change to what would usually have cost me over £50! When I applied it for work the next day, I noticed just how matte it really was. I don't know whether it's because Sheer Glow had a nice dewy finish, but it just made my face look DULL. Nothing a bit of Chanel Tan du Soleil cant fix, but I wanted something as easy and effortless as possible for work. However, I only had to apply powder once throughout my day at about 1pm which was good! Annoyingly though, the woman from the beauty counter gave me a powder than is a shade too light for my face. Ugh.